Considering ordering a generator after all the blackouts we’ve had this winter? Even if you just want a generator for emergency situations, a portable generator has many other practical uses you may take advantage of down the road. If you purchase a generator or own one, you’ll want to order Union County generator maintenance to keep it up and running for many years to come. Read on for a few more instances where that backup portable generator could come in handy. Are you or is someone you know planning on getting married soon? If you’d like to get married outside, which many couples are doing today, you’ll need a portable generator. Fields and parks become venue options when you have a portable generator for the ceremony and/or reception. You’ll need power for the music and sound, as well as all those twinkly lights. A portable generator is also needed for an outdoor concert. If you’d like to play or blast music in the middle of nowhere, you need power. A portable generator allows you to go virtually anywhere and do anything. 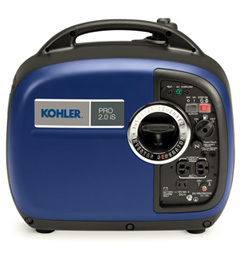 Use a portable generator or two to host any large outdoor event, from a barbecue to a festival. You can save money on an expensive venue and enjoy the fresh air by using a generator for all your power needs. If you don’t enjoy extreme camping, a portable generator can help. It’s hard to go without any electricity completely on your first camping trip, and it’s always helpful to have power in case of an emergency. Maybe it’s a cold night and you need a little heat, your flashlight or lanterns die, or your cell phone battery drains. Your power use doesn’t have to be extravagant, but you could use it for a little more luxury in your camping style. Power a mini television and a microwave, or bring it just as a precaution. No matter how much you plan to “rough it,” a portable generator definitely helps. Unless you frequently sail, you may not realize how much you would need power on a boat. Just like camping, if you’re out on the ocean for a few days, it’s helpful to have a generator for backup power. On a boat, you don’t even have the option of building a fire to cook your beans and marshmallows. A generator on a boat will power your phones, lights, microwave, and whatever else you might need on your boating trip. If you work on a farm, you know how important power is. Most farms today are switching from gas powered technology to electric powered machines. These machines power the farm by feeding your animals, preparing your crops, lighting your farmhouse, and keeping your food fresh. Losing power slows down your productivity, and this costs you time and money in a very delicate industry. The crops and animals can’t simply wait, they need constant attention, and losing crops or animals costs you immensely in your business. A portable generator helps you power areas all around your large property, and keeps the farm up and running. It’s a great investment that will keep both you and your livestock happy. Many construction sites today are off the grid, so it’s difficult to get power unless you have a portable generator. All contractors use electric tools such as power drills, nail guns, chain saws, etc. If you work in construction, you know how valuable a portable generator can be. You can bring it with you to any site you work on, and have the ease of charging your tools any time you need it. Are you looking for Union County generator maintenance to keep your portable generator in its best condition? Look to Bold Generators for the best services and equipment today.